by Donald R. Laub, M.D. 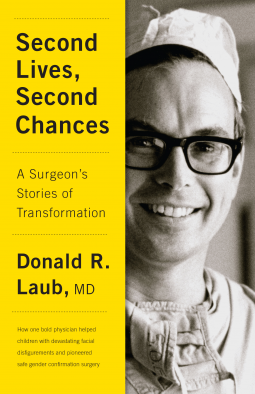 Through his work in plastic and reconstructive surgery, Dr. Donald Laub changed the lives of thousands of people who had been shunned by society. Dr. Laub’s influence fostered the development of three key areas in the surgical profession: pioneering and influencing international humanitarian medical missions in the developing world, being at the forefront of gender affirmation surgery for transgender people since 1968, and the education and training of over 50 plastic and reconstructive surgeons. His unstinting efforts to surgically correct cleft palates gave new lives to thousands of children in developing countries. As one of the original surgeons to perform gender affirmation surgery, Laub not only continually improved on his methods, but he also became a tireless advocate for the rights of transgender people. His non-profit foundation (Interplast, now called ReSurge International) has sent thousands of multidisciplinary teams to perform transformative and reconstructive surgery in the developing world. Second Lives, Second Chances is more than just a memoir; it’s a testament to how the determination of one person can bring others together to make a lasting difference in the world.